People know that I love New Zealand and you just need to flick through the evidence to see why and once you have I’m betting that you to will fall in love with a country that has a little bit of everything. Many people know that my true and first love is that of Snowdon and Snowdonia, but this weekend my heart was stolen to another valley of mountains. In short if I could have a job and place to live then I’d gladly call Mt Cook my home. It has made me decide that mountains and the outdoors is where I belong and when, or maybe we should make that if I get back to the UK, then it’s off to the countryside and mountains I shall go. It’s hard to explain, but my passion and love for rock that has grown out of the earth is something else. It’s no secret, but then it could be I’m not sure… I think I have shouted it off the rooftops a good many times. Maybe I only whispered it to myself and forged an expression of excitement and enjoyment at the prospect of reaching summits and letting my soul be absorbed into the open wilderness that is The Great Outdoors. But I think I have and now I come to think long and hard my social networks and posts are fulfilled with entries and retweets about the outdoors and my love for the natural power of Mother Earth and her trophy cabinet of mountains. Yes I love mountains. Love to look at them, photograph, walk, climb you name it I’m in love with these rocky growths. So with that being the case a trip to New Zealand was just what was needed. In part The Land of The Long White Cloud is known for its rugged landscape in part thanks to The Lord of the Rings films and this brings us to our first stop. 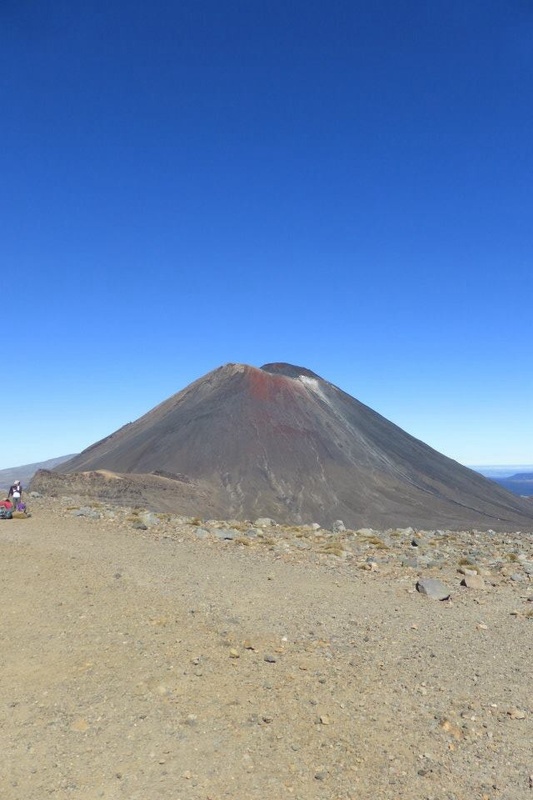 I have been dreaming of doing the Tongariro Crossing from when I first started planning my trip. Yet another good reason to fuel my love for volcanos and the power that our planet has. I’m not and never will be a LOTR fan and so Mt Doom or Mt Ngauruhoe was always on the cards as it was a big hill, with an added bonus that it was an active crater volcano. Mt Cook on the other hand could never be climbed. Well not by me. A full on mountain experience with all the gear and very much more than just an idea of how you use it. Over 200 people have lost their lives to Aoraki, many unaccounted for, many just fallen. In recent years Mt Cook has shrunk, first a massive 10 meter rock and ice fell from its peak in 1991 and then in 2013 some boffins re measured the tallest mountain only to make it smaller still by 30 meters. But still standing proud and measuring in at 3724 meters or 12,000 feet in UK money it’s NZ tallest mountain and one I have longed to see. Sure I could climb Mt doom and it was a tough hill to conquer, with scree and scrambles the 2,291 meters was the highest I have climbed (double the height of Ben Nevis UKs highest mountains) the view of the volcanic waste land of the centre plateau restored the energy banks and washed away any exhaustion my body felt. Staring into the main body of the crater surrounded by several active volcanoes soon wiped the fatigue from my legs. The crossing with its blue and emerald lakes and barren alpine rocky Mars like setting did more than evoke the senses. If it wasn’t for the herd of fellow walkers marvelling at this unique spectacular then I would feel like I was in another world. Mt Cook will be a mountain I’ll climb one day and as I walked to the glacier lake at its foot, the impressive imposing structure towering into the sky hiding behind his blanket of cloud only to uncloaks himself enough to spur me on to get that golden photo opportunity. 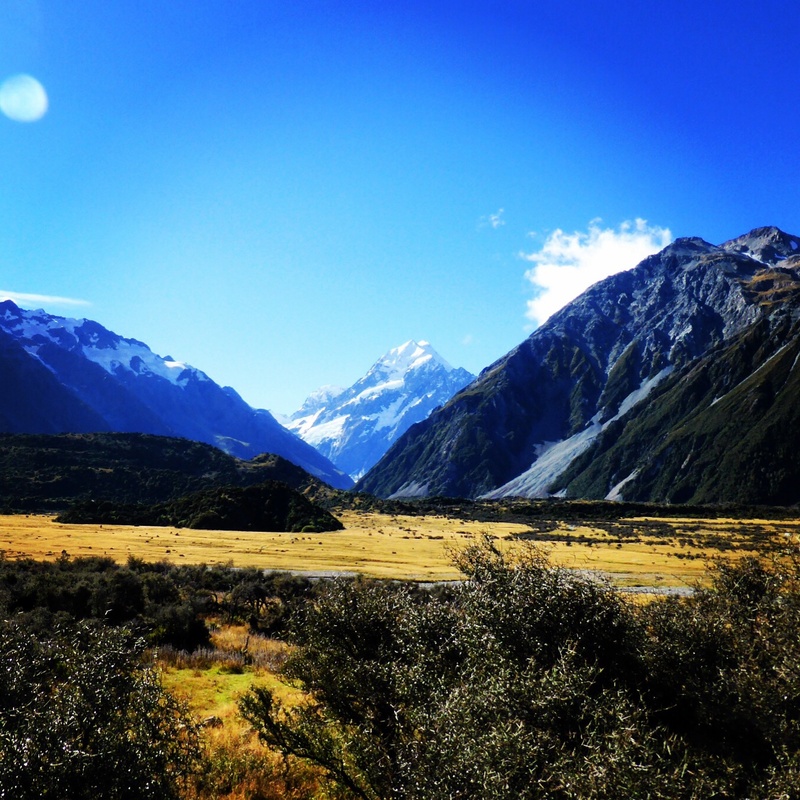 Mt Cook has a wonderful tale connected to it which makes seeing the mountain so more magical. Aoraki and his brothers while visiting their fathers (god of sky) new wife (god of land) was sailing trying to find land when their boat capsized in the ocean and turned to rock, forming the South Island. Aoraki and his brothers climbed up, only to also be turned to stone forming the mountains that go to make up some of the Southern Alps. 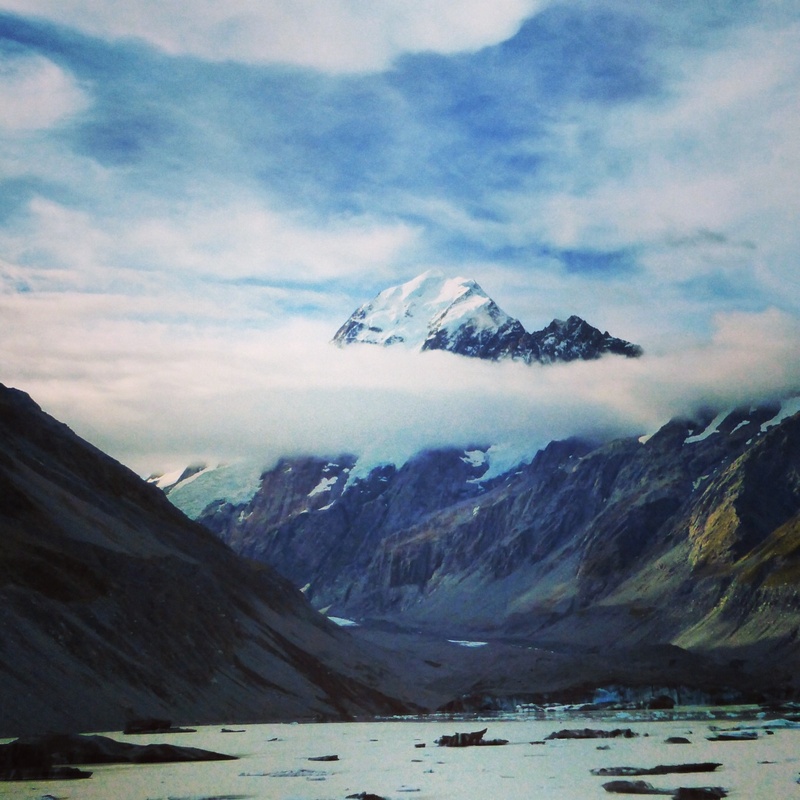 Mt Cook is a special place and to be in his shadow is a breath-taking awe-inspiring experience, the Crossing is as breath-taking but only when you walk the track. Aoraki gas the same power and commands the same respect by just sitting there, when I do return to climb him I know I’m going to be over powered by his charm, and true organic beauty. Both have been an experience to treasure and I feel lucky enough to have said that I’ve stood in their shadows. If anything my love has grown stronger and I want to explore more terrains of our planets wonders.